Spring 2016 colors. Spring jewels. Yes. And you can stop laughing any time now. Or hey, go ahead. I know I’m jumping the gun a little. But I’m looking outside at ice and snow, and it’s not going to get anywhere near as warm as FREEZING today, I’m serious. And Christmas was lovely, and New Year’s is right around the corner, and Happy New Year. So that’s enough winter stuff, right? 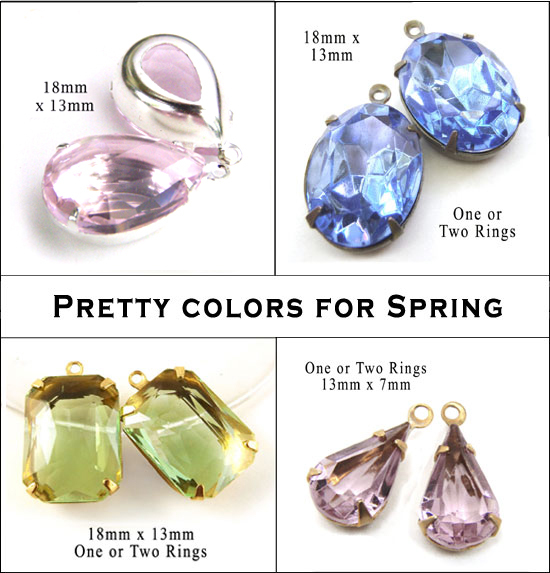 Here’s some sheer, Spring color jewels to get you thinking in the right direction. Just because. Aren’t they lovely? Making you think, just a tiny bit, of warm skies and soft breezes and lightweight summer dresses? There, I’ve done my job. I don’t know if thinking about spring helps bring it closer, but hey, it can’t hurt. 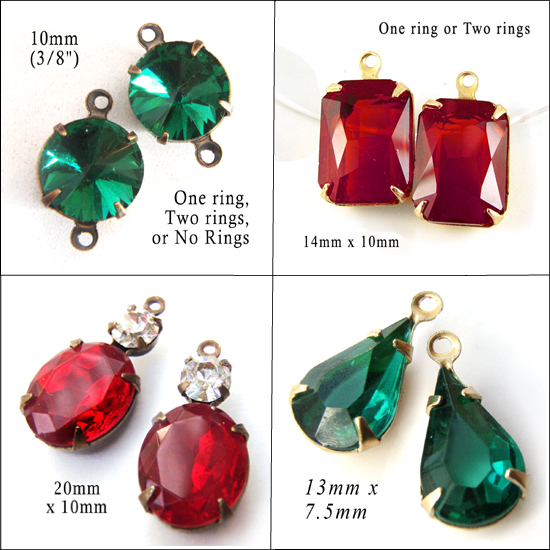 So if you should happen to want to make some sparkly jewelry with Christmas colors – ruby red, emerald green (and of course, you could choose crystal, or golden topaz, or pretty amethyst, or many more) – why we still have time to do that. And if you’ve already made your holiday jewelry, wasn’t it fun? and money-saving? And kind of satisfying to know that you could do that? 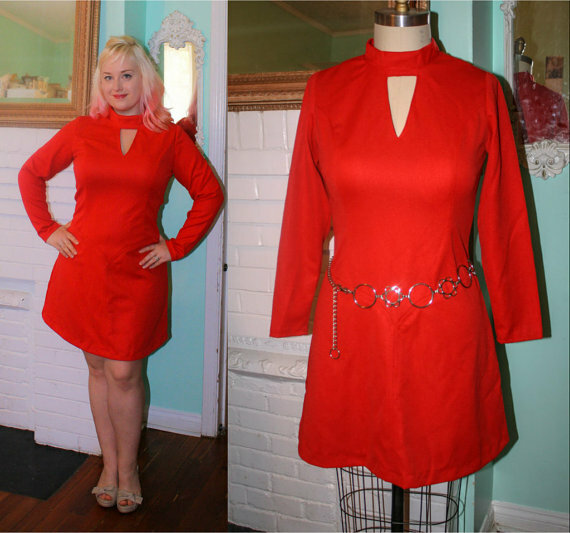 This is what vintage ought to be – wearable and smart but also fun and sassy. I found this fab dress at Psychedelic Pinup on Etsy. Even the name is funky and fun! Esther, the curator / owner, has clear, informative pics and you know how important that is when you’re buying online. And she’s got some terrific finds – vintage lingerie, party dresses, and even a Sale section! And her items are separated by size – so you can find things that will fit YOU. Go check her shop – you’re going to thank me! 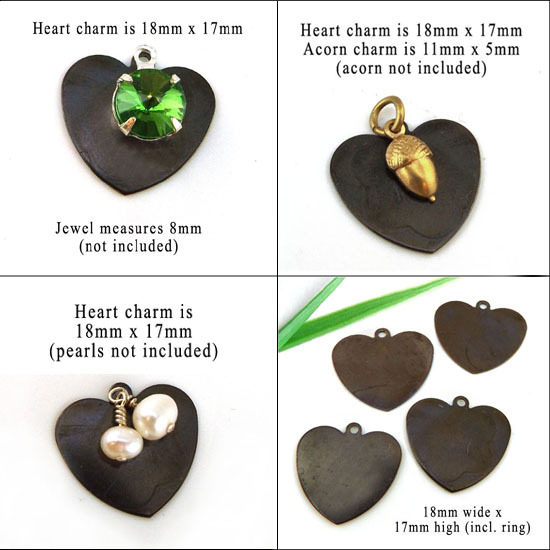 I just wanted to show you a few examples of what you can do with these sweet little blackened brass heart charms that I mentioned a few days ago. Showing is always better than telling, don’t you think? And I use these examples only to say hey, there are lots of things you can use to turn these little hearts into something really special. Look around your craft room. Try those few leftover beads you had. Wire them to hang with the hearts, or add a cluster to a necklace focal. I have the hearts in golden raw brass, too – I think they were originally intended as stamping blanks. They’re fairly thin so it’s best to stamp on a very smooth hard surface like a jewelry anvil – but it works terrifically when you do that. So: add pearls or charms. Or stamp your own message. Or just use the hearts “as is”. They’re fun, they’re inexpensive, they’re a little boho. What’s not to love? 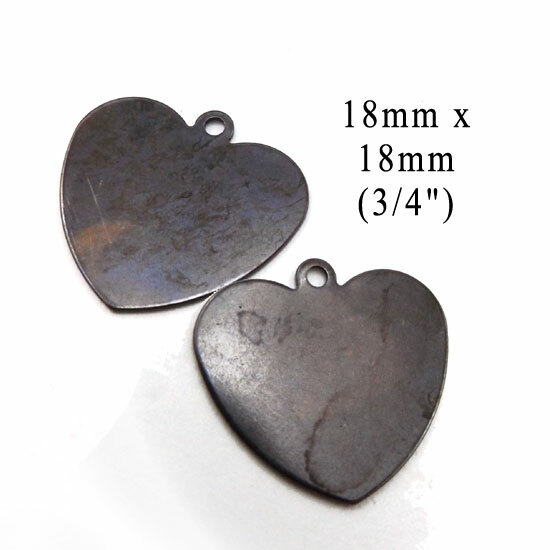 I recently found some smallish, adorable brass heart charms, both golden raw brass ones and deeply blackened hearts. I think the possibilities with these are endless! Well, okay, maybe not endless. But varied, and interesting. I was thinking how cool these would look, paired with a vivid glass charm in red, or maybe a hand-wired white pearl dangle. I’m going to try a few ideas and will post them here later.